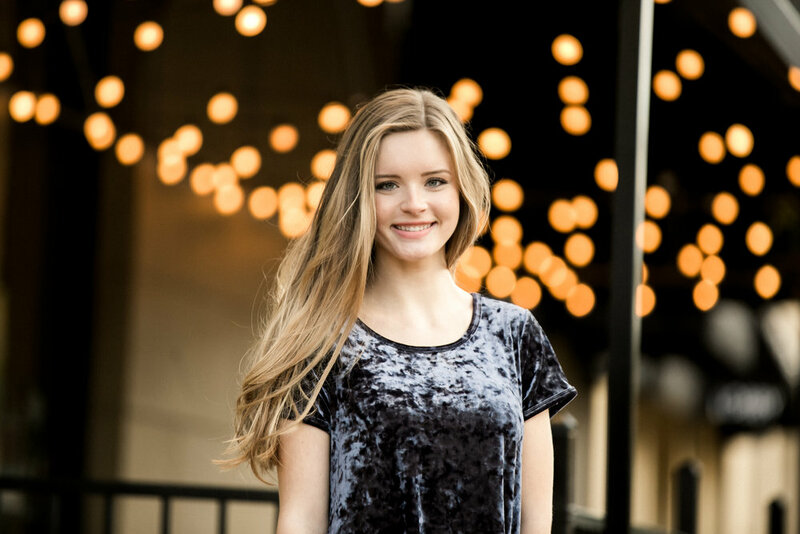 It's been a minute since I've posted a senior session on the blog so I'm very grateful for a break from school for Thanksgiving to catch up on emails, editing, and blogging! I'm especially excited to finally be sharing a bunch of shots from Emily's gorgeous senior session! 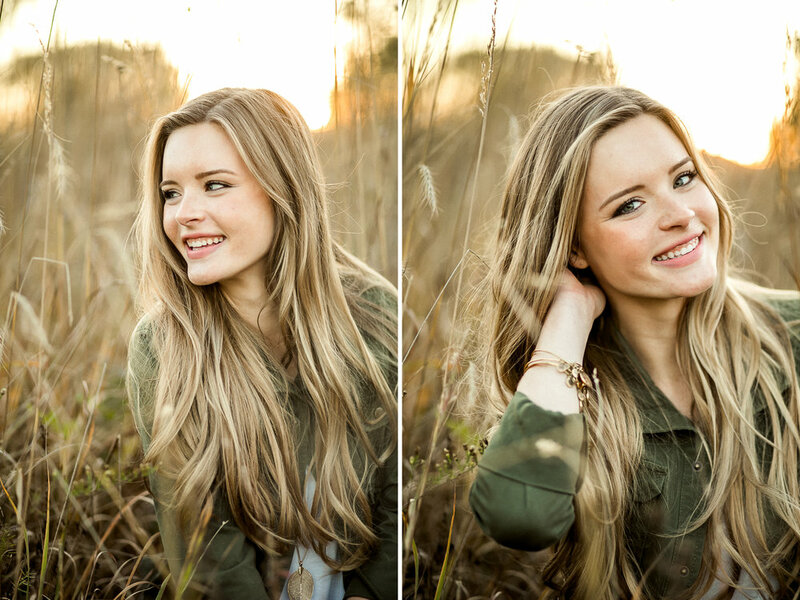 Emily is a senior at West Lafayette High School, has the sweetest personality, and the cutest style ever! Last year, she actually tagged along for Meg's rustic, November senior session and mentioned wanting to schedule her shoot with me for this fall. So Emily's senior pictures have been a long-time coming and I think they absolutely lived up to the hype! I say that because seriously every other shot was a new favorite! Even narrowing shots down for this blog post was difficult! 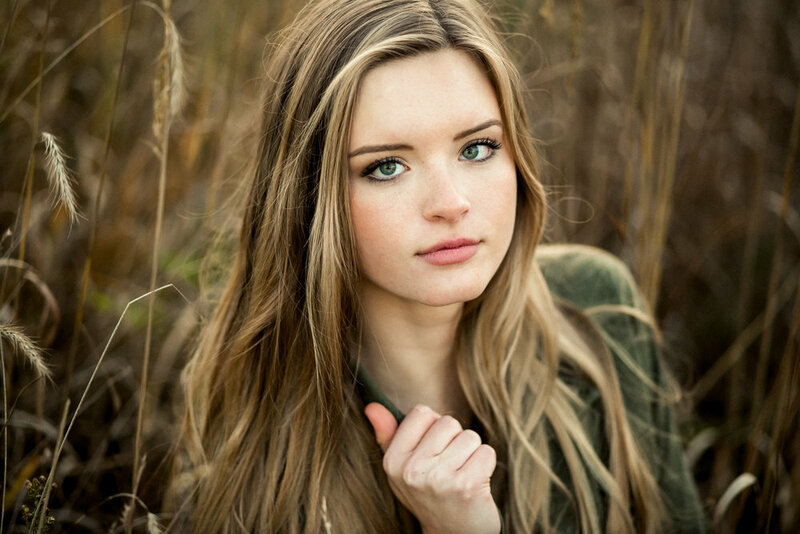 We started her shoot off by a beautiful wrought iron gate before heading to a red, leaf-covered wall. I love the fall, preppy look she chose for our first locations! We also snagged a few trendy, urban shots in downtown Lafayette. Emily seriously looks like a runway model in that second shot! 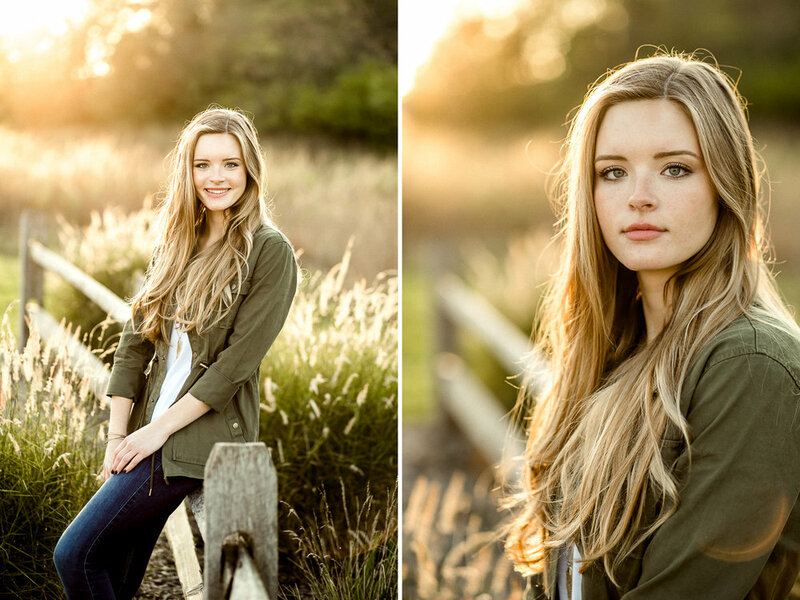 For her final location, we went to my FAVORITE field for some glowy, sunset shots. 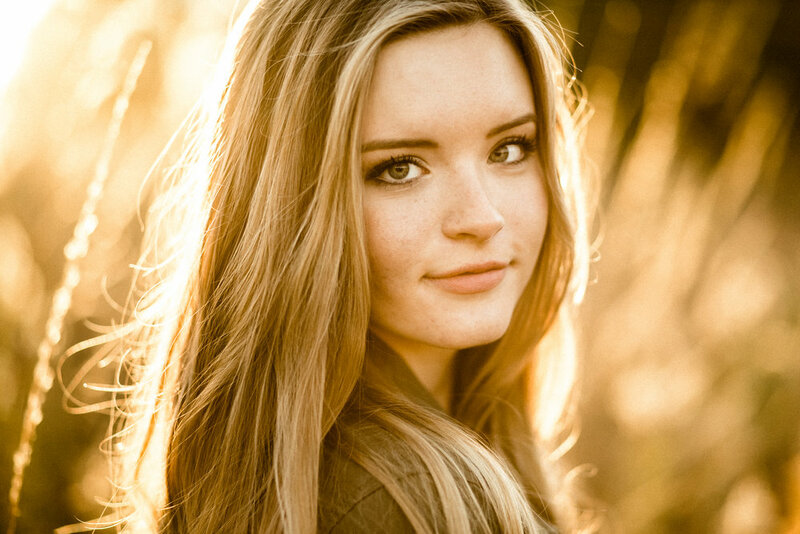 The light was absolutely gorgeous and looked stunning with Emily's honey-colored hair. I just love all of the shots from this set! Emily, I'm so happy I got to work with you this year and I hope you enjoy the rest of your senior year! Let’s be friends on the 'gram!